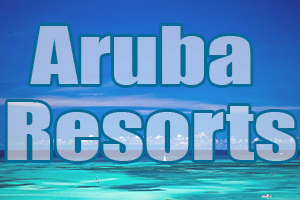 Welcome to our listing of the best Aruba Resorts. Aruba is a breathtakingly glorious vacation spot to visit in the Caribbean. This island of Aruba is located off the coast of Venezuela. It shines in its beauty from the tropical semi-arid climate that seems to float in temperatures between the 80’s and 90’s and the sunny weather to the tantalizing blonde beaches that were made for sunbathing. It surely is one of the finest places to visit in the Caribbean. 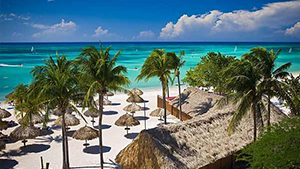 Walk out of your luxurious Aruba Resort and gaze upon the crystal clear oceans which seem to sparkle like glimmery pieces of glass and the gentle waves make surfing a dream come true. Take in the architectural beauty with European influence or just enjoy the majestic divi-divi trees as they dance in the gentle trade winds breezes. National parks and stunning beaches fill this tiny island (and by tiny we mean the island is about 20 miles long and about 6 miles across) to give vacationers lots to see and do. If you are looking for a romantic getaway, a fun filled family vacation or just a girls (or boys) trip to unwind, these Aruba Resorts have something for everyone…Beauty…Excitement…Adventure. 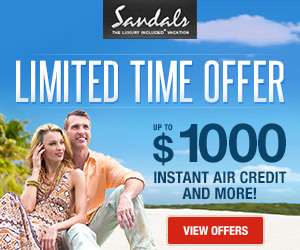 Enjoy the Caribbean at Aruba Marriott Resort & Stellaris Casino. 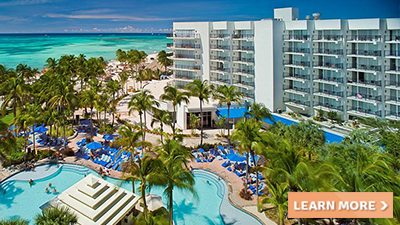 Located on Palm Beach, this Aruba hotel is perfect for your ultimate Caribbean vacation. 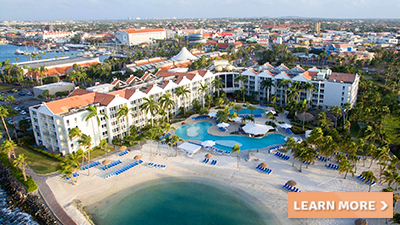 It offers premium amenities, including some of the finest restaurants in Aruba. The Aruba Marriott has also been voted as one of the best hotels in Aruba by U.S. News. 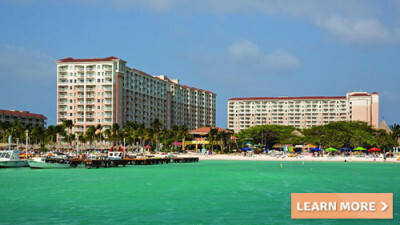 The Hilton Aruba Caribbean Resort & Casino, is a beachfront hotel overlooking the stunning Caribbean coastline. 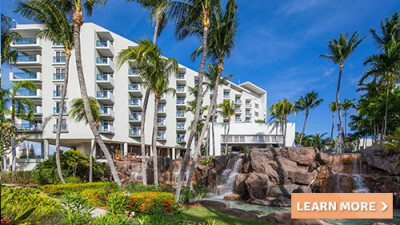 Enjoy an unforgettable getaway or family vacation here with tropical activities and your favorite luxuries. Relax at the full-service Eforea Spa, go diving with the help of the PADI Dive Center experts, try a night of gambling and enjoy world-class dining. Relax and enjoy a memorable family vacation at Marriott’s Aruba Surf Club. This resort boasts unmatched views of the Palm Beach coastline, spacious and modern villas. Soak up the beautiful Aruba sun on your private balcony or swim in one of the two outdoor pools, including a lazy river for ultimate relaxation. With magnificent Caribbean views and a design and decor to reflect the breathtaking surroundings, the Renaissance Aruba Resort & Casino features a family-friendly zone and an adults only area. Take a chance at the 24-hour casino or indulge in a refreshing session at Okeanos Spa. When it’s dinner time, get a bite to eat or drink at 8 restaurants and bars.